On 19 March 2006 the Presidential Elections were being organized in Belarus. The evening between Tuesday 14 March and Wednesday 15 March saw the first ‘Free Belarus’ street action, entitled “Give the People of Belarus a Voice”. 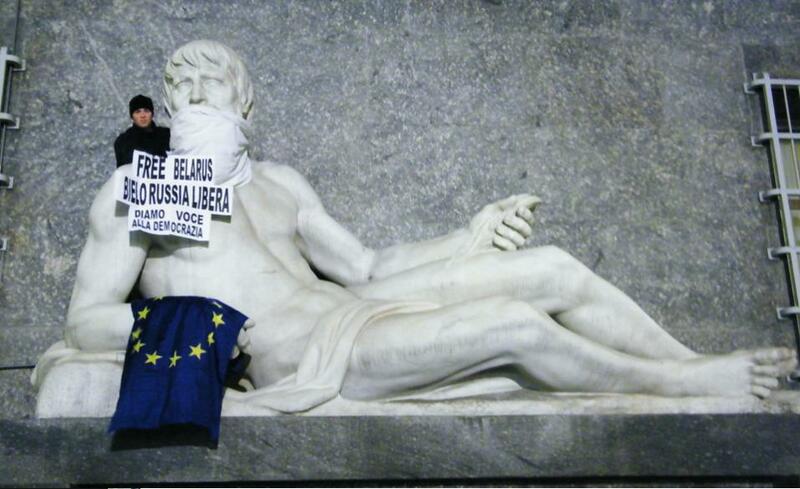 Activists ‘muzzled’ statues from several European cities, and hung signs from their necks stating the slogan of the action. During this time JEF’s electoral observers were arrested in Belarus. The 2006 action saw 23 cities participate but little did the JEF activists at the time realize that their actions would lay the foundations for the street action of gagging statues to continue annually for many years to come. 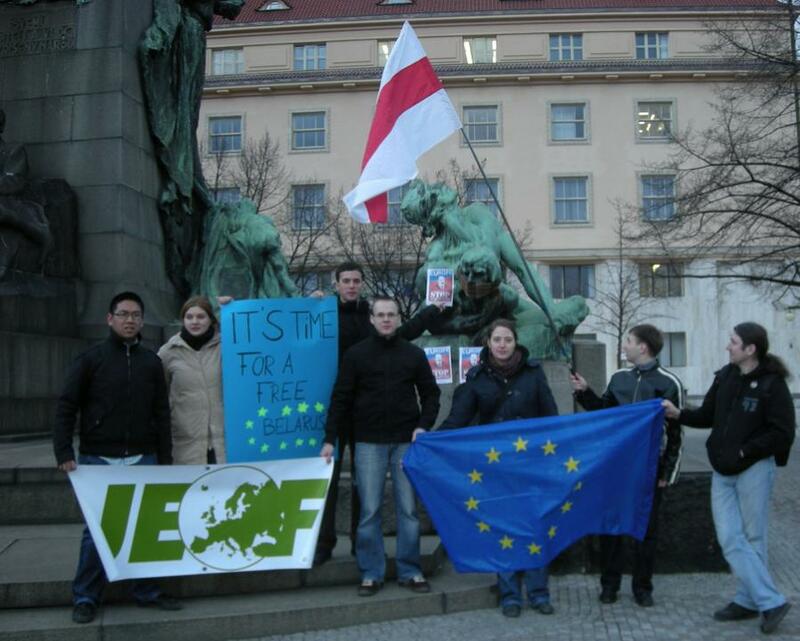 On the evening of 18 March 2007, which saw the first anniversary of the condemned Presidential Elections in Belarus, JEF activists once again took to the streets. It was decided that the action should again be carried out in the same fashion as the previous year, but this year bearing the slogan: “Give a voice to the citizens of Belarus”. In 2007 a stronger emphasis was placed on collaborating with other NGOs and civil society actors which resulted in 60 cities participating in the action, with the furthest reach being in Boston. Similarly to the 2007 action, in 2008 on the evening of 18 March on the second anniversary of the condemned Presidential Elections, activists around the world took to the streets to protest. 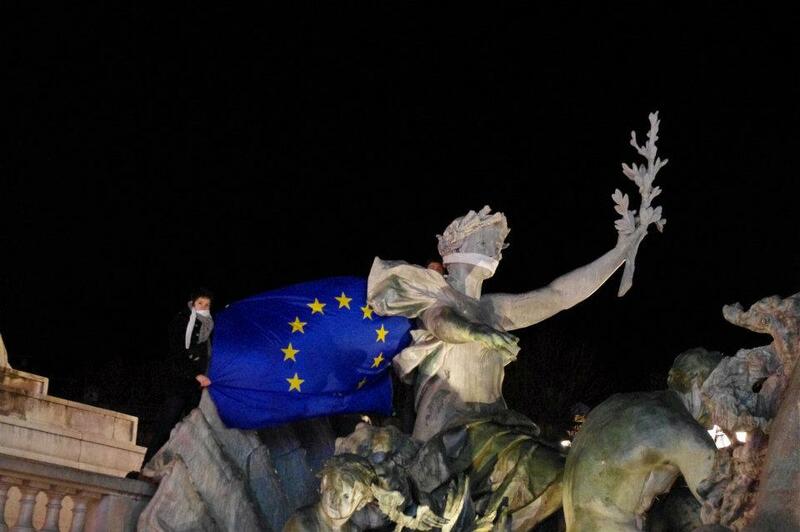 In 2008 participants began using European Flags or pieces of cloth bearing the European colours to gag the statues and held signs stating: “EUROPE, Give the citizens of Belarus a VOICE!” The main emphasis of the 2008 street actions was to state that Europe is directly responsible for taking action against the dictatorship in Belarus, with a goal to increase the action’s visibility with citizens by creating debate and involve elected representatives to increase the profile of the action and secure media attraction. In 2008 over 70 cities participated. Like in previous years, international activists took the street to fight for a free Belarus on 8 March 2009, to mark the anniversary of the Presidential Elections. 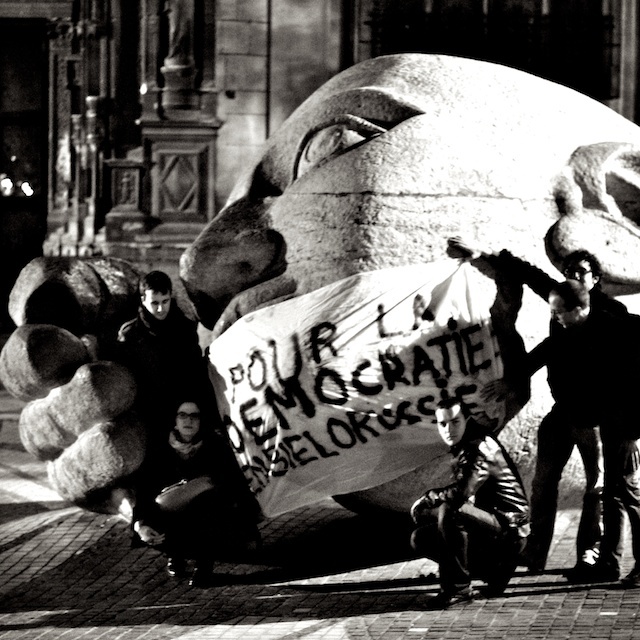 In 2009, a strong emphasis was placed on protesters interacting with citizens and encouraging them to gag statues or themselves and was held jointly with JEF’s European Parliament election campaign. In 2009, over 120 cities participated! On 18 March the youth from 125 cities from all over the world was involved in the organisation of the “Free Belarus” action. Thus, 4 press releases were translated into over 8 languages (including Belarusian and Russian), distributed to over 3,000 media contacts and downloaded over 550 times from the JEF Europe web site. 20 coverages of the action in Belarusian media alone! 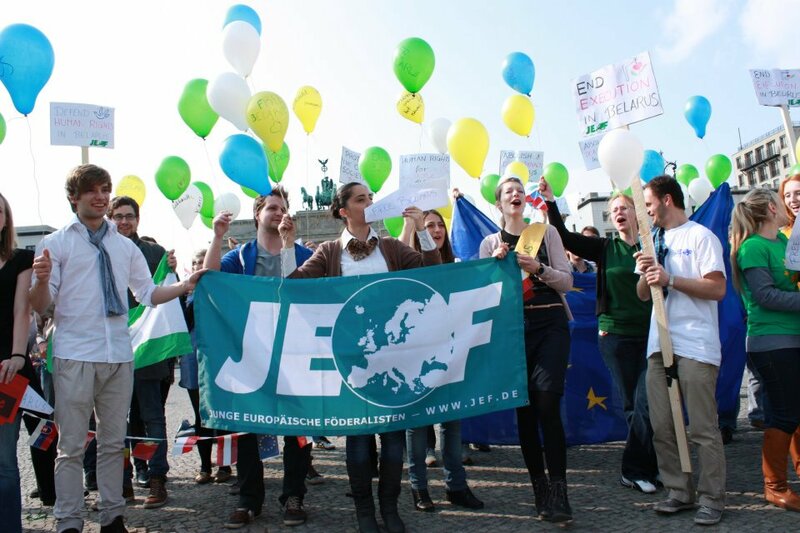 In order to make the action more sustainable, JEF decided to set up a website www.free-belarus.eu which was during its first month visited more than 4000 times! The action was implemented in around 85 cities across the Europe and covered in almost 50 articles, majority of them in the Belarusian media. It also received the biggest external support so far: 9 organisations lent their support and and 6 notable individuals chose to become patrons of the action! 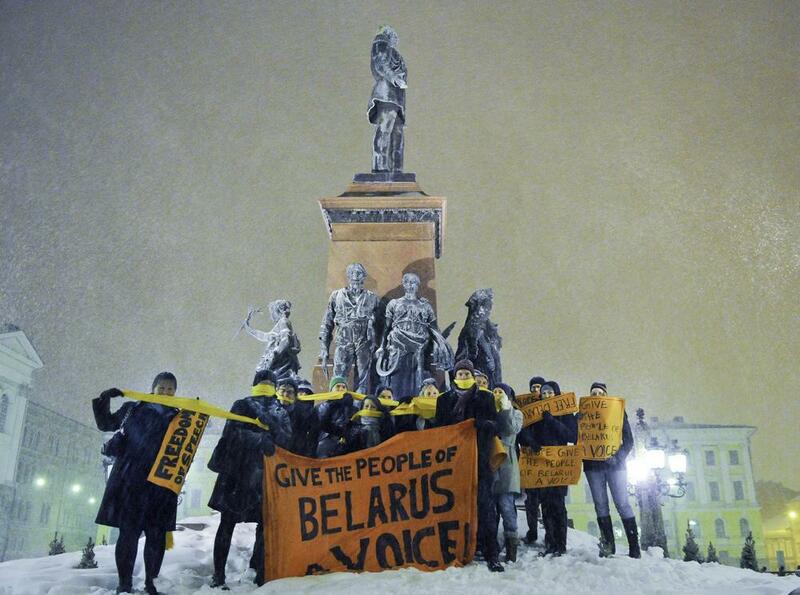 JEF remains dedicated to calling for democracy in Belarus and solidarity with its people. 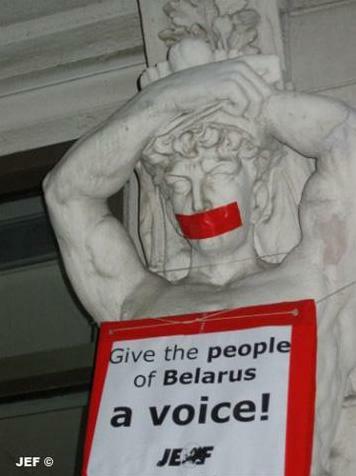 As long as Lukashenka’s dictatorial regime will ignore the human rights and oppress the freedom of Belarusians, JEF will organize its ‘Free Belarus’ actions and speak up for democracy in Belarus!